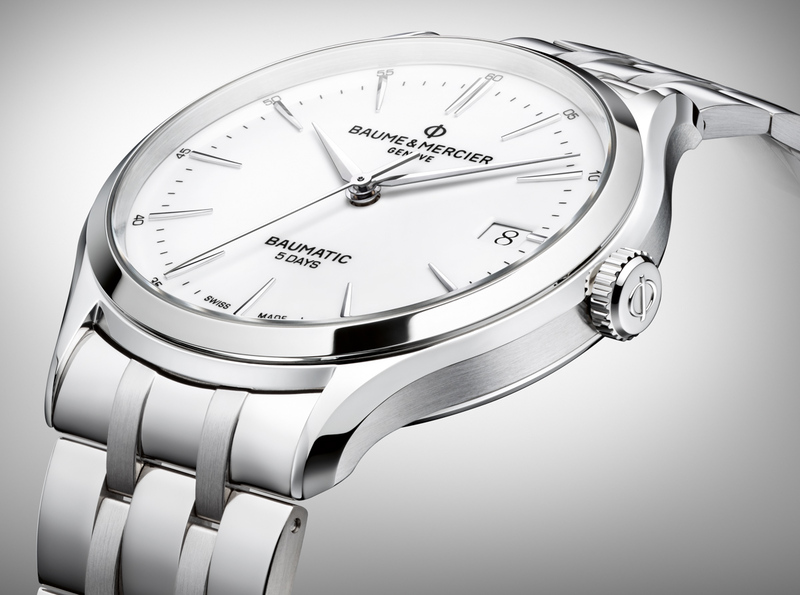 At SIHH 2018 Baume Mercier debuted the new Clifton Baumatic collection of dress watches that feature a new, exclusive automatic movement known as the caliber BM12-1975A. “Baumatic” is actually the (cute) marketing name for the movement, which is being featured in the Clifton Baumatic collection as a start. 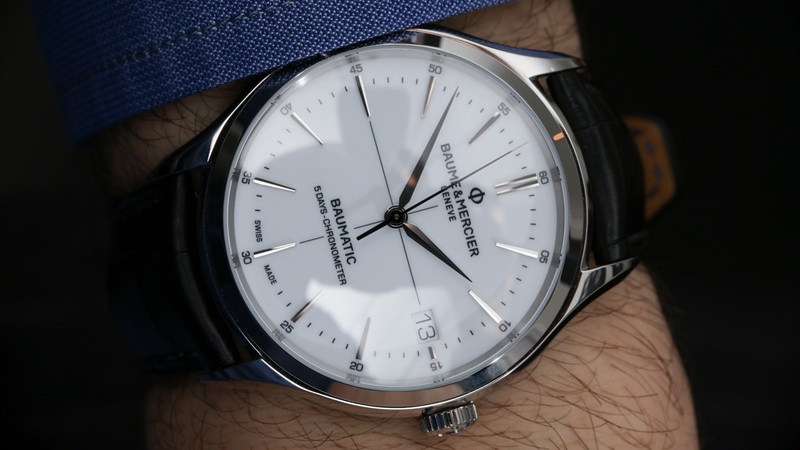 Baume Mercier was justifiably proud of the new Baumatic product launch and there is a lot to discuss about the new watches ranging from the simple and satisfying Clifton Baumatic M0A10298 (white dial) and M0A10399 (black dial) to the Baume Mercier Clifton Baumatic 5 Days Chronometer M0A10436. 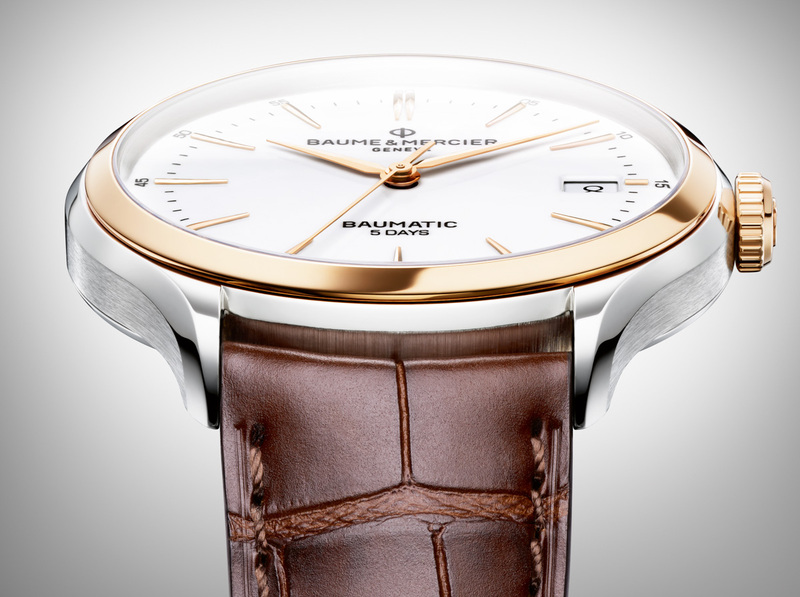 For 2018 Baume Mercier will also offer the Clifton Baumatic with the white dial on a matching steel bracelet in the M0A10400, and also in a two-tone steel and red gold-tone as the reference M0A10401. The implications of the Baumatic caliber BM12-1975A, as well as the relatively accessible price point of these nicely-made formal watches is the real story here. Baume Mercier sometimes like to refer to the BM12-1975A as an “in-house movement,” but in reality it is an exclusive movement (“developed in-house”) produced for Baume Mercier by the Richemont Group-owned Manufacture Horlogere ValFleurier (which we sometimes playfully refer to as “Richemont’s ETA”). The fact that Baume Mercier now has a watch with a movement it can claim as exclusive isn’t really what is exciting here. 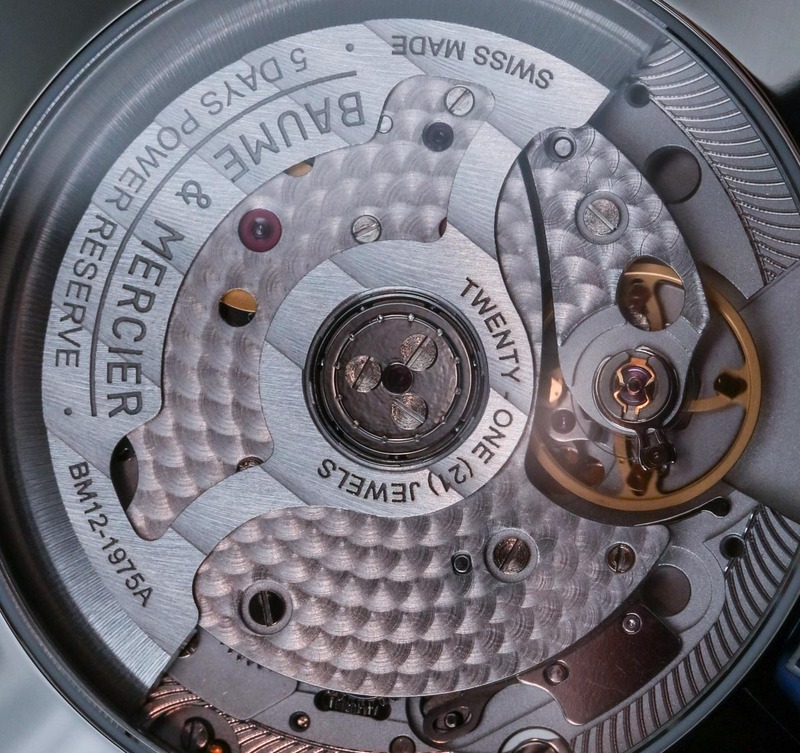 What’s more exciting are the performance promises of the BM12-1975A, its size, and the new technical priorities that Richemont seems to have set for many of the movements it produces for its various watch brands. 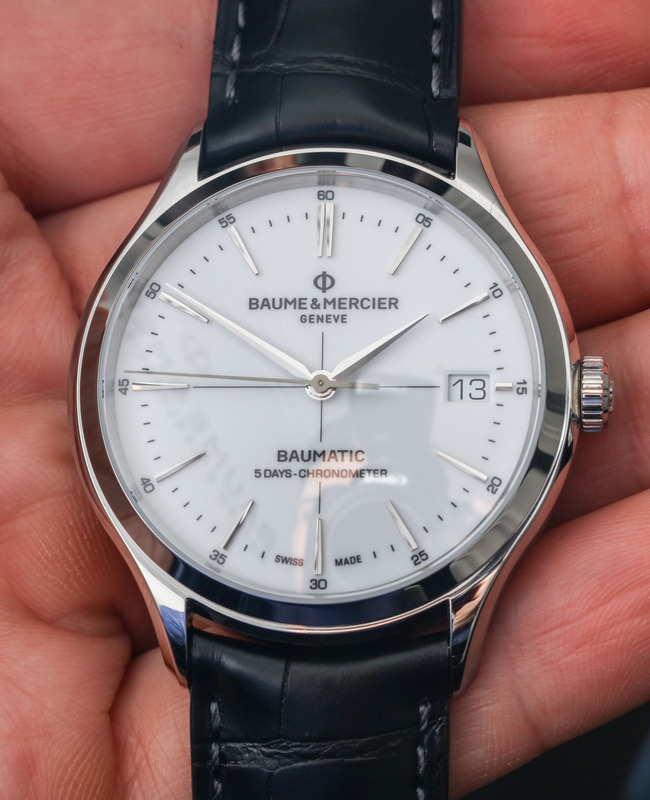 Baume Mercier produced one of the best press kits we saw from all of SIHH 2018 for the Clifton Baumatic – designed to discuss the watch and BM12-1975A movement inside of the Clifton Baumatic 5 Days Chronometer. The kit isn’t perfect, but it does an admirable job of really discussing both the performance promises of the new automatic movement as well as some of the special technology inside the Baumatic that makes it different from “standard” base Swiss automatic movements. Richemont seems to have made an edict across its brands that mechanical movement performance is something it wants to focus on moving forward. At several of our SIHH meetings, we started to hear representatives talking about magnetism resistance, accuracy, and dependability over time from their “in-group made” movements. This would have Richemont catching up a bit to the Swatch Group, Rolex, Patek Philippe, and others who have been increasingly vocal over the last few years about the performance of all or at least some of their modern mechanical movements. 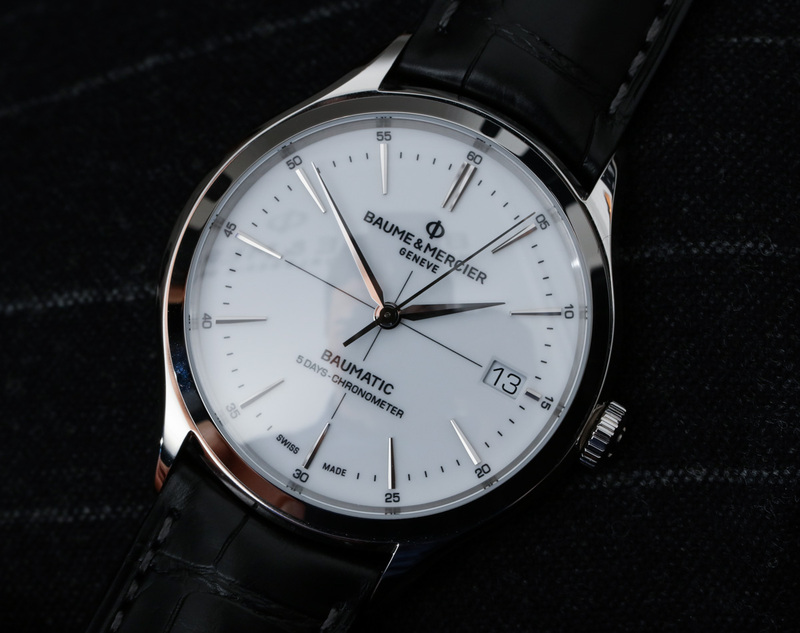 While the Clifton Baumatic is not the only Richemont Group product for 2018 to talk about performance standards such as anti-magnetism and accuracy, it is the most affordable and thus, most ambitious of them all. Personally, I’m very happy to see brands starting to take performance claims more seriously. Hell, I’m happy they are talking about performance at all. One has to understand some contextual things related to the mechanical watch industry that makes the discussion of performance a bit ironic to begin with. Mechanical watches are (for the most part) all pretty much obsolete. Watch lovers cringe at hearing such statements, but from many perspectives this is true. For example, even if a novel mechanical movement offers double the performance of an existing mechanical movement, even the new and fancy mechanical movement will in all likelihood still not perform as well as an electronic watch movement. There are those who argue that trying to make a mechanical movement perform better is a Quixotic pursuit. Is that true? From certain perspectives it most certainly is, but it does not take into consideration that despite the fact mechanical watches are outdone by quartz movements in raw timing performance, enthusiasts still prefer mechanical over electronic watches most of the time. Thus, acknowledging the consumer demand power of mechanical luxury watches (and the demands of their consumer buyers), one begins to see the logic and business sense of working to make today’s new mechanical watches more exciting. A deeper way of understanding the new focus on mechanical watch performance in relatively affordable watches is to see it as a hedge against the distraction power of vintage/older watches. For at least a decade now the watch collector universe has been largely fascinated by the world of vintage watches (from various angles). One of these points of focus is that both vintage and modern mechanical watches have similar movements. Even though there are stark performance differences between all manners of movements available over the years, your lay enthusiast consumer simply had no real tools to understand how a mechanical watch from today might perform differently from a similarly complicated mechanical watch from 40 years ago. Thus, consumers would/will often buy less-expensive vintage watches over their modern analogs because they don’t know or understand how their movements perform differently. Watch brands whose businesses rely on consumers purchasing new products aren’t particularly happy with anything that distracts consumer buying intentions. 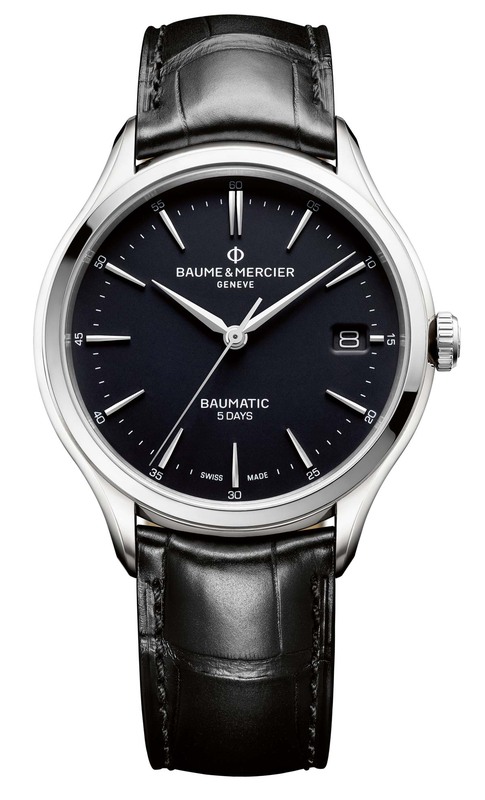 One way of explaining the new focus on mechanical watch performance across “volume” models such as the Baume Mercier Clifton Baumatic is to see them as a hedge against consumers feeling that older (e.g. vintage) watches are “just as good.” By using key terms and tangible experiences (such as your watch coming into contact with something magnetic) watch brands today are attempting to give consumers more palpable reasons to invest in a brand new product because it has new technology that can help solve old problems. It is true that a degree of these “old problems are now solved” statements are marketing-based optimism. However, it is equally true that the use of modern materials (for the purposes of watchmaking) such as silicon are indeed helping to make legacy mechanical movements really feel their age. This is a trend that I will continue to explore and report on in the future. 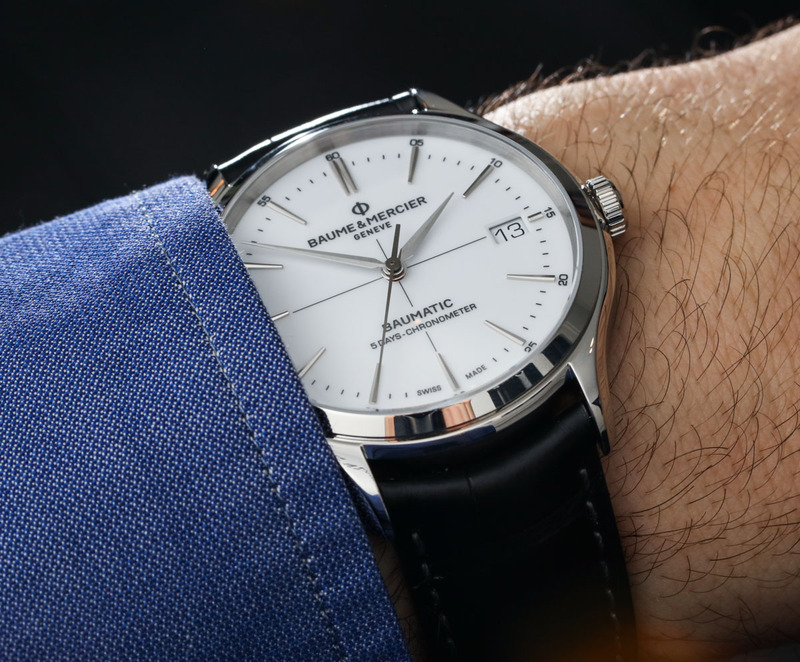 Let’s get back to the 2018 Baume Mercier Clifton Baumatic, namely the “flagship” model that Baume Mercier is pushing the most. That model is the COSC Chronometer certified version of the Baumatic which is the reference M0A10436. While this watch contains the same caliber BM12.1975A (aka BM12-1975A) as the other Baumatic watches, the movements in the M0A10436 are all COSC Chronometer certified. The dial also has “Chronometer” written on it, as well as a “crosshair” style motif on the dial (which is a legacy design element in some watches that generally suggests “precision”). No actual performance difference exists between the movements in the Chronometer and non-Chronometer version of the Baumatic as far as we know. Rather, the Chronometer models have had their movements sent to COSC for certification, which adds cost to the production, and is more about having the assurance of performance (as opposed to the mere promise of it). 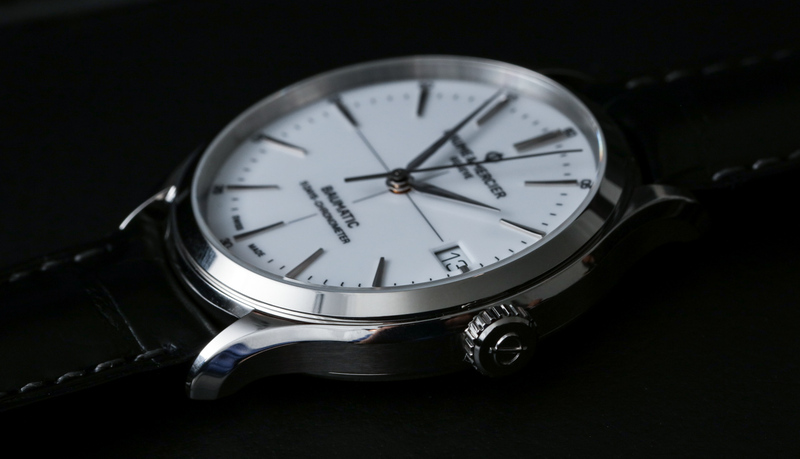 Baume Mercier wanted to offer the Chronometer model as a mere $200 upgrade over the non-COSC Chronometer certified models for watch consumers who like the idea (or the crosshair dial).